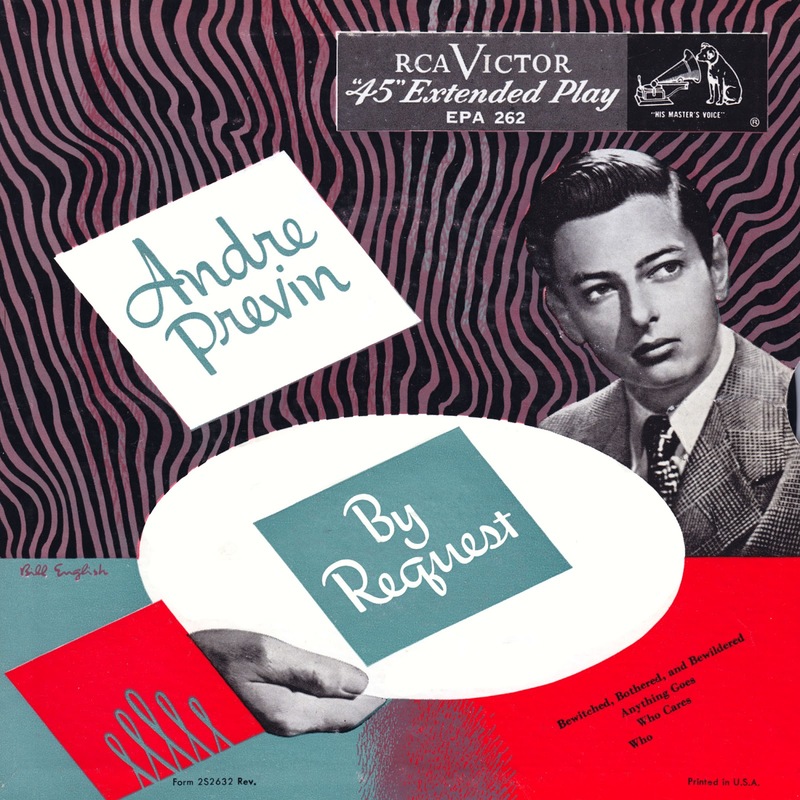 Buster @ Big 10-Inch Record blogspot wrote: - Previn's remarkable early jazz recordings from 1947-50, made while he was still a teenager. 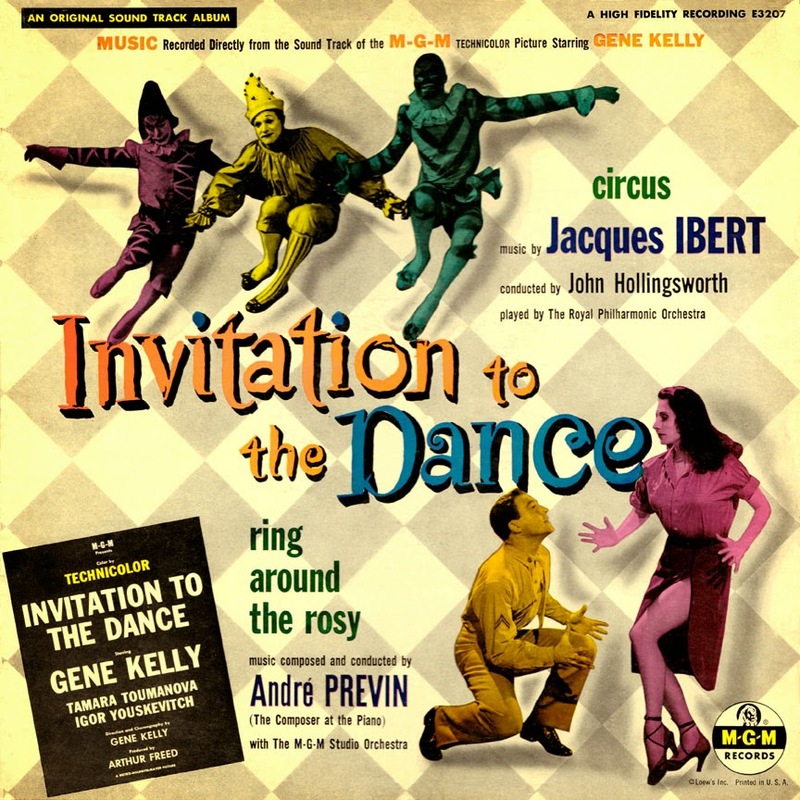 - His wonderfully eclectic score for one of the three segments in Gene Kelly's film, Invitation to the Dance. Previn manages to wedge in echoes of Britten, Khachaturian, Gershwin, Kenton, blues piano, salon music, mood music and much more. - A set of songs written with his then-wife, Dory Langdon Previn, and performed by the superb jazz duo, Jackie and Roy. - His pop success, the Secret Songs for Young Lovers LP, with its hit song, "Like Young," all featuring his piano and backing by David Rose. Mine a different recording, a CPO cd with Markus Becker, pianist,North German Radio Phil., Eiji Oue. I found a reasonably good copy of the full 138-minute film on the Net. Well worth watching . . . The beautiful Cleveland-born Dorothy Dandridge turned in a haunting performance as Bess, and Adele Addison's voice matched Dandridge's stunning acting convincingly. Dandridge won a Golden Globe for this film. Sadly, the same cannot be said of the match between Sidney Poitier and the voice of Robert McFerrin. Sammy Davis Jr.'s singing and acting was variable, but he hit his stride in "It Ain't Necessarily So". Worth watching the film just to see that production number. Omigod, this was Hollywood at its best! Maybe the LOC will figure out a way to make this national treasure available for all to see. The Gershwin estates has the rights but refuses to allow its general release. The film was shot in 70mm Todd AO widescreen "Cinemascope" and full stereo, so a proper restoration should look good and sound great, though Robt McFerrin's vocals appear to be a problematic mismatch with Sidney Poitier's voice and physique. The Library of Congress has put P & B on the National Film Registry as historically and culturally significant. I agree. I viewed it last night and found the film mesmerizing even in a less-than-ideal VHS transfer. I admit I do not know the libretto of the Gershwin opera well, only the musical numbers. BTW, the soundtrack is a separate recording. For example, Sammy Davis, Jr (Sportin' Life) is replaced by Cab Calloway on the ST, probably b/c, as a friend has informed me, Davis was under contract to Decca at the time which would not release him to sing for Columbia. That's fine by me: Calloway (who played this role in the famous early 50's European tour cast featuring young Leontyne Price and William Warfield) for me IS Sportin' Life. The ST is great. I love it! -- there being no visuals to distract me from what I am hearing. "Porgy and Bess" won't come into the public domain until 2030, as far as I can tell. Until then the Gershwin estate can control its use however they wish. 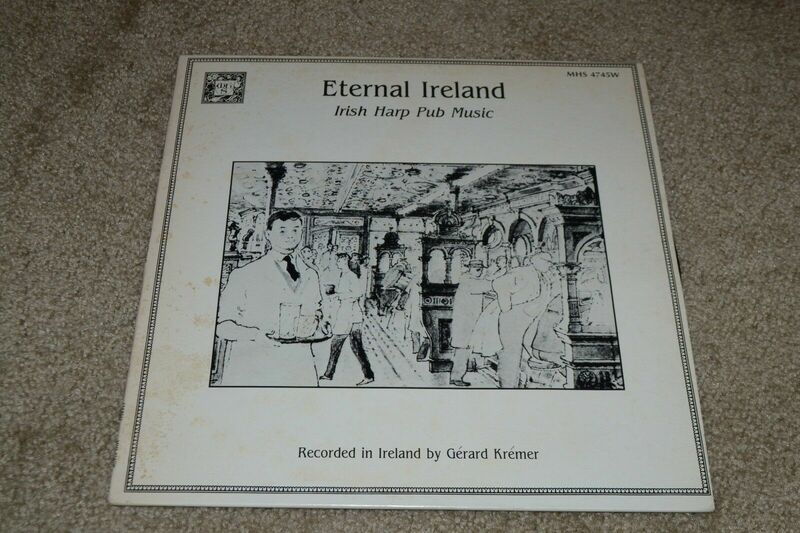 My mother owned that recording and I grew up with it, loving it but never seeing the film. It was my first introduction to the Gershwin masterpiece, albeit in a popularized form. I've never heard "It Ain't Necessarily So" sung better than by Cab Calloway. Full of humour and personality. Thanks for the trip down memory lane!! Yes, but as with other things in Magaland these days, can does not necessarily translate to should. The law is the law. (Though copyright law has been constantly changing.) Who's to say that those who own a copyright shouldn't use it as the law allows? The holders of performance rights for the plays of Brecht and Beckett have exercised their right to refuse permission for productions such as an all-women "Waiting for Godot" to preserve the integrity of the work, as they see it, though this costs them fees they would otherwise have collected. Eventually all copyrights expire and anyone can do as they please; we just have to be patient. The law is the law . . . . Who's to say . . . . The two situations are quite different. The film exists, was shown for more than a decade, was once granted rights by the Gershwin estates, was acclaimed in its day as much as it was criticized, but now in effect is being suppressed, whereas the Beckett rights holders were merely trying to prevent a Waiting for Lady Godot from ever being produced, which would've been the theatre of the absurd. Who's to say? Well, insofar as the rights holders are concerned, nobody. Cuz, as the article linked to above makes clear, they've put the kibosh on anybody, film professional or scholar, being allowed even to see a flick they themselves had no hand in making. Talk about weaponizing Bertolt Brecht's alienation effect! Yes, the law is the law but not everything that it deems to be legal is expedient in practice. Supposing it is smacks of legalistic rigidity of the sort few would put up with in other contexts. Granted, my being unwilling to wait a mere 11 years till this flick enters the PD betrays a somewhat impatient nature. You can complain all you want, but what it comes down to is whether one can exercise one's legally protected rights as one chooses, arbitrarily if it comes to that, whether others like it or not. So be it. That principle, and the general principle of the rule of law, are far more important than whether a particular movie is allowed to be commercially shown and sold right now. It's not as if the Gershwin heirs were preventing us from seeing the opera. In September the Met will open its season with a new production of "Porgy and Bess," which will be shown worldwide on HD next February and most likely published on DVD. If you can't wait, the excellent 2002 production by New York City Opera as telecast by PBS is available on YouTube right now. As for the 1959 movie, in due course the opera will come into the public domain and the Gershwin heirs will no longer have any control over it. Meanwhile, anyone can see a digitized transfer at the Library of Congress. Incidentally, I've found this article about the movie that may explain some things. Maybe part of the problem is that Gershwin's recitative was ditched in favor of spoken dialogue, and some scenes and the overture were rescored by André Previn. It's not as if the Gershwin heirs were preventing us from seeing the opera. In September the Met will open its season with a new production of "Porgy and Bess," which will be shown worldwide on HD next February and most likely published on DVD. If you can't wait, the excellent 2002 production by New York City Opera as telecast by PBS is available on YouTuybe right now. Yes, I had already provided a link to that article in an earlier post. I think Previn's arrangements are brilliant. They pose a problem only for purists and textual literalists. The flick, by the way, is not the opera. I've seen Preminger's movie and also heard the opera. Different art forms. The Gershwin estates in my view are weaponizing the law of copyright to effectively suppress for the general public an already existing work of art. No sublime legal principle is at stake in this instance. Nobody questions their legal right to act like banshees. None of what you've just said makes any sense to me. "Porgy and Bess" is an opera, whatever the medium in which it's performed. Arrangements such as Previn's are not only needless but violate the integrity of the work of art and show no respect for it. "Weaponizing"? What hype! This discussion has lost touch with reality and I'm done with it. The Preminger movie involves such a different take on Gershwin's Porgy and Bess that it is more of an adaptation (a brilliant one at that, judging from my own viewing of the film) than a performance of the original opera. It was not a matter of Porgy merely being showcased via a different medium but of its being transmuted into a different art form. You charge Andre Previn's arrangements with violating the work's integrity and showing it no respect. Small wonder that such an accusation would provoke a challenge. Sir Arthur Bliss' Cello Concerto,Tim Hugh, cellist, English Northern Philharmonia,David Lloyd-Jones, Naxos I believe ( mine a Presto Classics download ). For some reason, does not seem played often ? Wonderful work. At YT as well. Martin Bookspan wrote: "Porgy" presented a ticklish problem to Andre. (Bookspan always calls him that. )He was not sure just how much of the film score should be Gershwin and how much Previn, hos the film score should be Gershwin and how much Previn, how much of Gershwin's own orchestration he could "rearrange" to fit the requirements of a film, but he found his answers in the original score parts, which had been measured to fit the instruments of a Broadway "pit band." Andre's requirements were something else entirely. [Previn says,] "Gershwin had been stuck with the physical limitations of his orchestra pit. Had he been writing for a larger group he'd have written it differently, because what is orchestrated for thirty men is not necessarily going to sound good when played by one hundred... The producers wanted a rich sound and there was no way I could give it to them without reorchestrating that score." Previn is being ignorant or disingenuous. Gershwin scored "Porgy and Bess" for a full opera house orchestra with 2 flutes (one doubling on piccolo), 2 oboes (1 doubling on English horn), 3 clarinets (2 doubling on alto saxophone), bass clarinet (doubling on tenor saxophone), bassoon, 3 horns, 3 trumpets, 2 trombones, tuba percussion, banjo, piano and strings, plus an onstage piano and band. The opera received its first production on Broadway and for that the pit band was limited to 45 or 41 players (it's unclear which), minus a clarinet, horn, trumpet, and the tuba), and the score was cut by 1/2 hour, against Gershwin's wishes; he cooperated because he wanted so badly that his opera be performed, and Broadway was the only venue where that could happen in 1930s America. Today the performances at the Met and elsewhere use Gershwin's original score, restoring most of the Broadway cuts, and Previn should have done likewise. He didn't bother. If, as jserraglio believes, the film is an "adaptation" of Gershwin's opera, then so was the world premiere production on Broadway. The replacement in the movie of most of Gershwin's recitatives with spoken dialogue may have made it seem more like a movie musical, but the producer Samuel Goldwyn advertised the film as an "opera" pure and simple, which was what those who made the movie believed they were filming. Previn wrote a lot of music for the soundtrack, mainly underscoring the dialogue and action. He replaced the fugal music for one of the fight scenes with his own accompaniment, and "romantically embellished 'O Lawd, I'm On My Way." But according to Pollock, Previn "relied heavily on the original scoring, sometimes as a template but often rather literally notwithstanding a general enrichment of the orchestral texture and some thoroughly reconceived orchestrations." You could say the same thing of many performances of Baroque operas before the HIP movement beginning in the 1960s put such performing editions out of bounds. 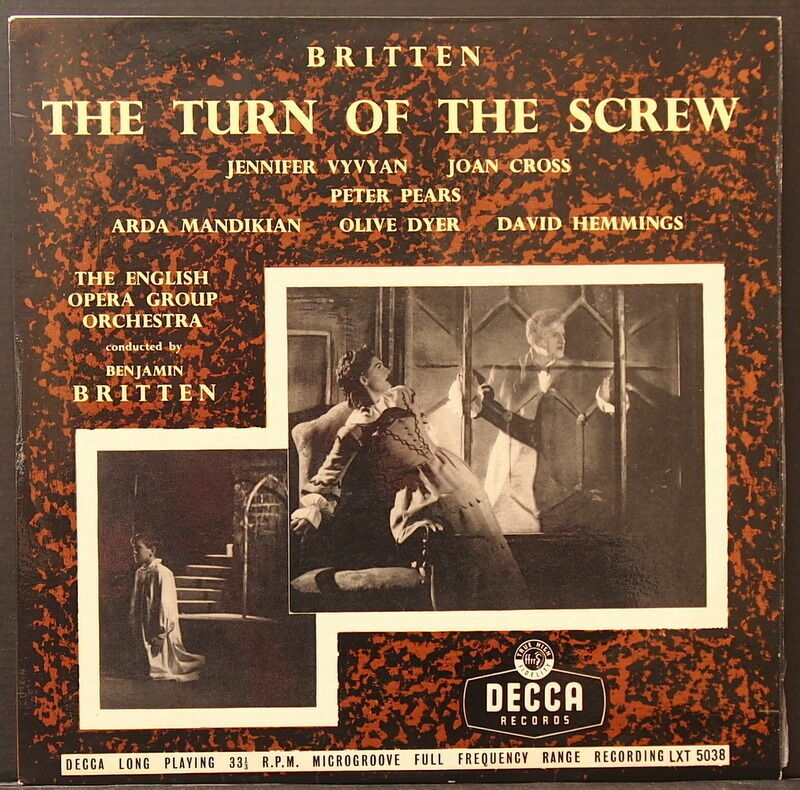 A near-complete recording conducted by Lehman Engel was made by Columbia Records in the 1950s, and Lorin Maazel conducted an absolutely complete version with the Cleveland Orchestra for Decca/London in the 1970s. Now, "Porgy and Bess" is to receive its second production at the Metropolitan Opera. If only it had been premiered at the Met instead of the Alvin Theatre, so Gershwin could have seen and heard what he wrote. But it was two decades before even one Black person was allowed to perform at the Met, and another 30 years until James Levine finally gave "Porgy and Bess" its Met premiere. This is very interesting. I believe the 1958 film to be an 'adaptation' and not an 'opera' as described by the advertizing blurb. But remember that this was pitched at cinema audiences and not seasoned concert-goers. For many of us living in countries very far from the USA - and mostly in regional areas - this would have been the only chance to see "Porgy and Bess" performed in any way at all. I'm unsure whether actual studio recordings of Gershwin's great work were available either in that decade. In the 1970s I had the opportunity to meet the director of that first production on Broadway of "Porgy and Bess", Rouben Mamoulian. He was sitting in the little office next to mine at our national broadcaster, the ABC, and my friend Leonie, who was married to the director (of a documentary made about the film festival which had drawn the director to Australia) came in to me and asked whether I wanted to meet Mamoulian. "Come in; he's with Brian now". I turned down that invitation with "I've never heard of him"!!!!!!!!! (First Broadway production "Oklahoma" and director of "Dr. Jekyll and Mr. Hyde"!!). Actually, thinking about it now, my friend should have told me - but possibly she didn't know either!!! I've told that miserable story before. When I realized some years later who he was I was very very annoyed with myself. Other operas have been filmed for theatrical release without needing anyone to reorchestrate them: Francesco Rosi's "Carmen," Joseph Losey's "Don Giovanni," the Bolshoi Opera's Musorgsky and Tchaikovsky productions, others. Peter Brook's "The Tragedy of Carmen," now that really is an arrangement, and Brook acknowledged this by giving it a distinctive title and not passing it off as "Carmen" pure and simple. 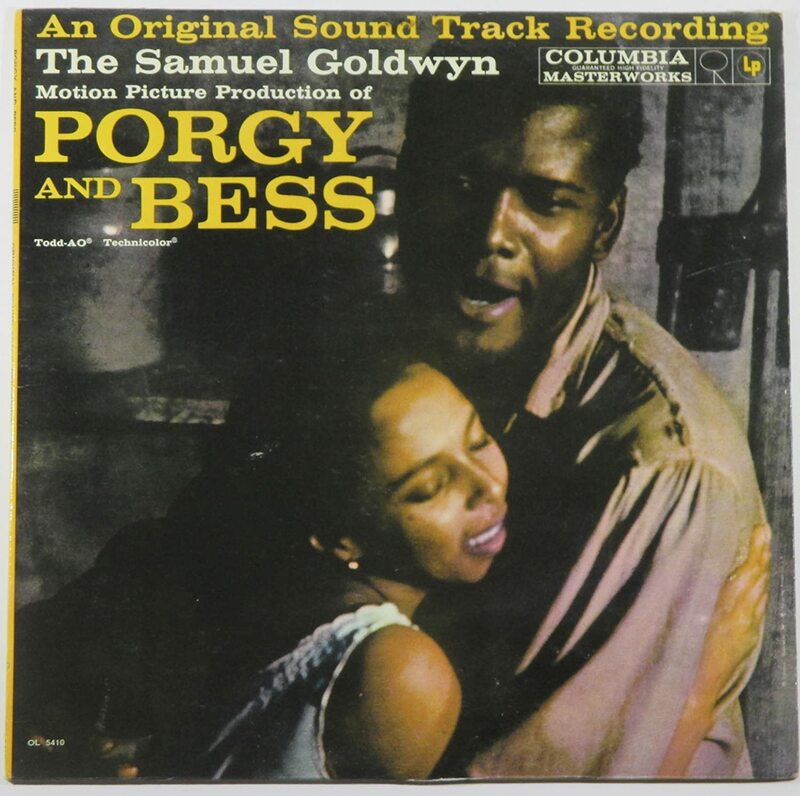 That Goldwyn hired Previn to tart up "Porgy and Bess," and Previn did it, reflects what I called lack of respect for the work. If the composer had been Mozart or Bizet no such thing would have been dared, but then, they didn't make their name doing Broadway musicals. Mamoulian was fired from directing the Porgy flick and replaced by Preminger. Apparently, Mamoulian wanted to film on location and Goldwyn was having none of it. I just saw the 1959 film last Saturday, and even in a decidedly less-than-desirable transfer from a VHS recording of an OTA broadcast, it grabbed me: acting (Dorothy Dandridge is a totally credible heart-throb--no wonder 3 very different guys try to serenade her into being their woman now), music (wonderful arrangements by Previn for a general audience), mise en scene (on soundstages, not on location in SC). I love the opera--have always loved it ever since I heard the mono Columbia recording recording (Engel) but the movie too was special. I own the soundtrack on a mono Columbia LP and have heard a digital transfer of a stereo version of the ST on Dutch CBS: I can say that the ST is quite different in its impact than the actual numbers from the movie. For one thing, Sammy Davis Jr.'s "It Aint Necessarily So" is a full-throated, pull-out-all-the-stops Hollywood production number not the throttled-back, 3-minute cut featuring Cab Calloway that made it onto the LP. 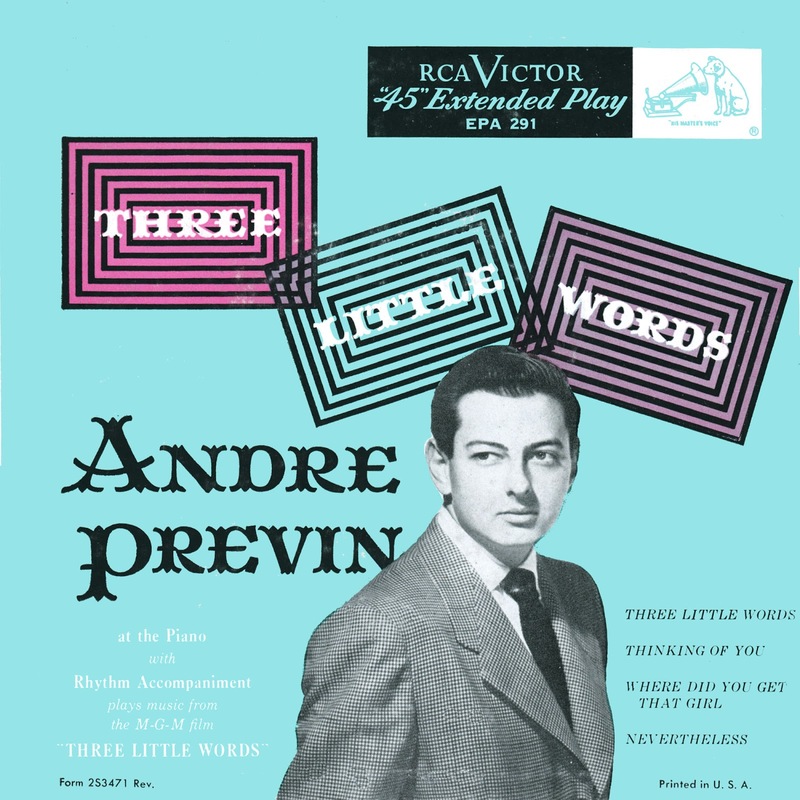 For what it's worth, which may not be much in the eyes of some, the late Andre Previn, he who supposedly showed a "lack of respect" for Gershwin's opera by tarting it up and "violating its integrity", won an Academy Award (Best Original Musical) for his work on this film. I also find it curious that those who admit to never having seen the 1959 Porgy film nonetheless insist on denigrating Previn's contribution to it. Last edited by jserraglio on Wed Mar 06, 2019 6:16 pm, edited 5 times in total. You do make a fair point. Those films; were they from the 1950s? Hollywood had a history of 'tarting up' Broadway works. Think of "On the Town" when it was made for film and new songs were written by Comden and Green. They were great numbers, for sure, but they were not from the original production. Saul Chaplin was interviewed once and said "the studios didn't like 'classical music' in their films; they regarded the MGM (Joe) Pasternak unit as 'classical music'" And, of course, the similar fate for "West Side Story". None of these, of course, were operas but they were musicals substantially re-orchestrated and packaged for cinema audiences. Andre Previn cut his musical teeth in that environment. The films I mentioned were from the 1960s and later, and were made in Europe. 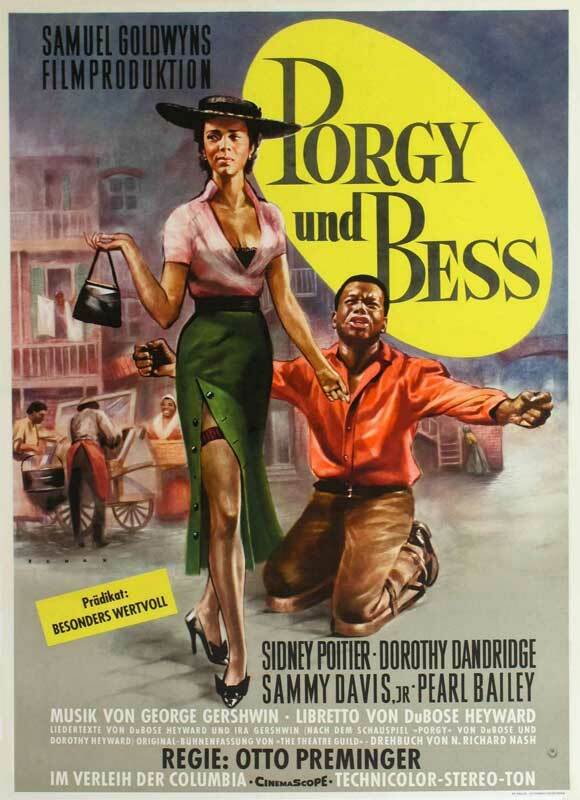 I can't think of a Hollywood film of a complete opera before "Porgy and Bess," or after it for that matter. Stage and movie musicals don't count because they are a different kind of beast. The composer, or tunesmith, rarely does the original orchestration unless he's Leonard Bernstein, leaving it to a hired gun like Robert Russell Bennett or Hershy Kay. (Bernstein scored "Candide" but not "West Side Story," which was done by Sid Ramin and Irwin Kostal with some instructions from Bernstein.) So the score of a Broadway musical does not have the integrity I'm talking about - "integrity" not in the moral sense but meaning "the state of being whole and undivided." I suppose Goldwyn couldn't tell the difference, but I'd expected otherwise from Previn. Some operas were not orchestrated by the composer, but that's usually because the composer abandoned the work or died, like Veniamin Fleishman's "Rothschild's Violin" that was orchestrated by Shostakovich. And then there's the case of "Boris Godunov," which was not just reorchestrated but partly recomposed by Rimsky-Korsakov because the original scoring and harmony were unpalatable to late 19th century audiences. But these are rare exceptions, very rare. Based on my own viewing of the film, Previn, in the spirit of Gershwin, brilliantly adapted his opera to a new medium, something he had every right--legal and artistic--to do, and in the process successfully created a cinematic work of art with its own "integrity". 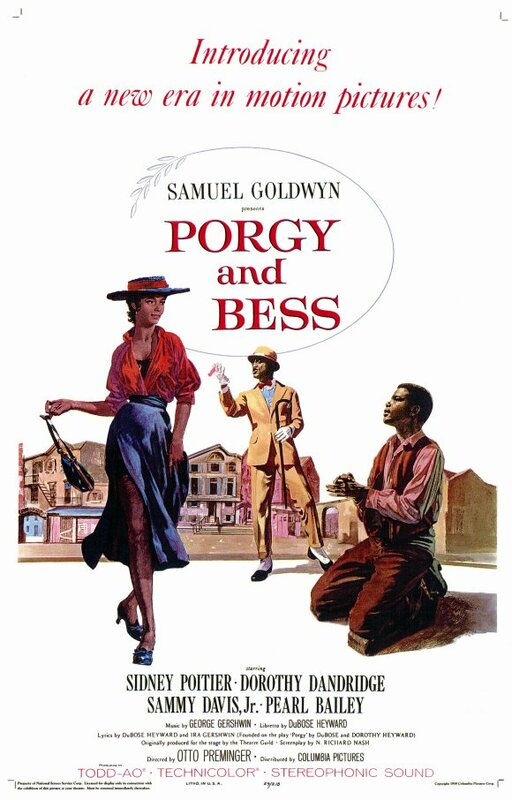 Porgy and Bess the opera is not sacred scripture, however much it is spoken of here almost as if some divine afflatus had caused it to emerge from the Ark of the Covenant of the Holy of Holies. I don't think I did suggest it was a holy relic. The blind leading the blind. Unseen and unheard, Previn's adaptation has been repeatedly put down here, accused of tarting up Gershwin. But even allowing for the fact that the Gershwin heirs suppressed the movie, denigrating a film one has never seen is not unlike panning a book one has never read. Denigrating me because I argue for performing a masterpiece as the composer wrote it, an all but universal preference, is getting things the wrong way around. 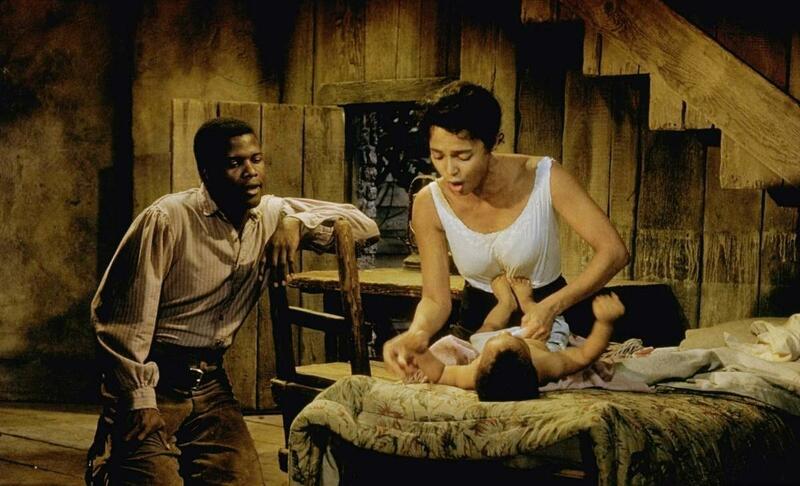 I give plenty of reasons why "Porgy and Bess" deserves this respect. You give none to the contrary, merely asserting your own taste time and again while trying to reduce my argument to absurdity. That's why I said earlier that I'm done with this exchange, and now I really am; I've wasted a good deal of time and effort actually finding out and writing up the relevant facts, since you don't see the point and couldn't care less. The composer in this instance was clearly Andre Previn who reshaped Gershwin and won an Academy Award for his musical adaptation. So much then for the universal preference that a work be performed as written. Continuing Andre Previn marathon . . . the first recording of Chausson's Piano Quartet. 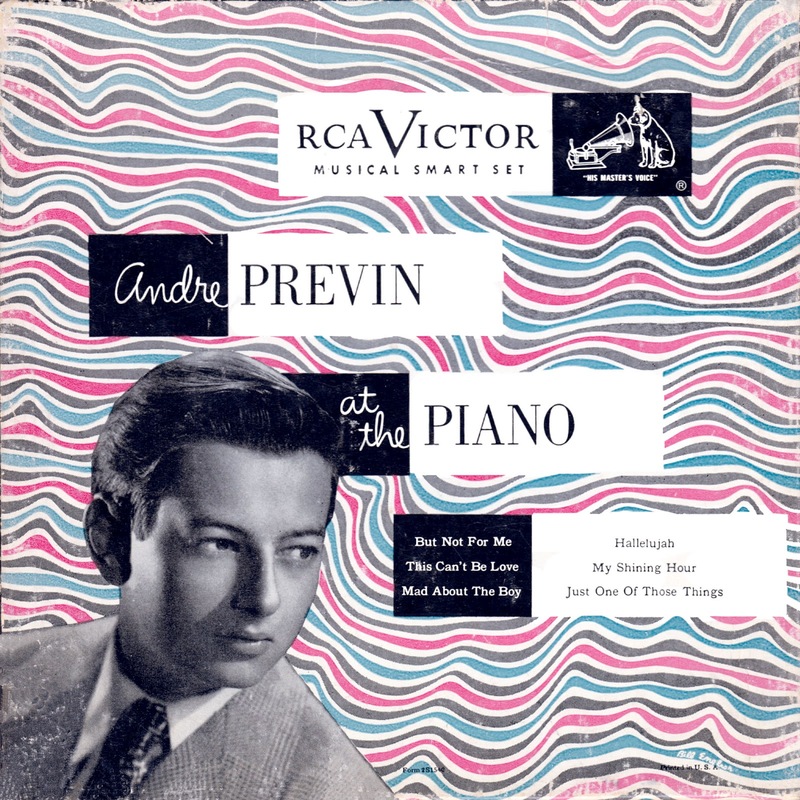 Andre Previn, piano, with members of the Roth Quartet (Feri Roth, violin; Laurent Halleux, viola; Cesare Pascarella, cello) -- 1958 Society for Forgotten Music early stereo LP. which is also a homage to and parody of German romanticism." 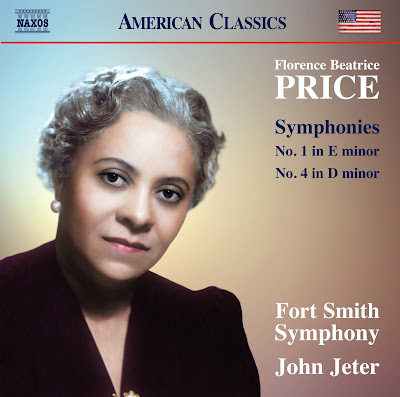 Am listening to Price's Symphony I and finding it well-crafted but not particularly distinguished. I'm interested enough to buy the CD, however, if only to hear her Symphony IV. It's about time Price got the recognition she so obviously deserves. Thanks for bringing her to our attention. Not just this trailer, but the HR 2 Kultur broadcast in good sound (DVB-S at 48 kHz) of the entire opera from La Scala, Milan 2018. That looks like something I want to hear. Thanks for posting. I found the whole opera (audio only with a Fr/It libretto). This must be a capture of the original RAI 3 audio stream. Is anything NOT on YT these days? What an amazing resource. Fascinating! Stan Getz was probably the finest exponent of his instrument since Charlie Parker. You've got quite an eclectic collection, if I may say so. A gala concert celebrating the 70th birthday of composer Stephen Sondheim at the Peacock Theatre, London, as part of the 2000 Covent Garden Festival. Devised by Julia McKenzie and featuring songs from some of his best-loved shows, including A Little Night Music, Sweeney Todd, Follies, Sunday in the Park with George, Assassins, Into the Woods. Starring: Kim Criswell, Samantha Shaw, George Dvorsky, Henry Goodman. James Graeme. Guest appearance by George Shearing. B'cst 2 January 2001. BBC Radio 3 FM. Last edited by jserraglio on Sat Apr 06, 2019 4:25 am, edited 1 time in total. 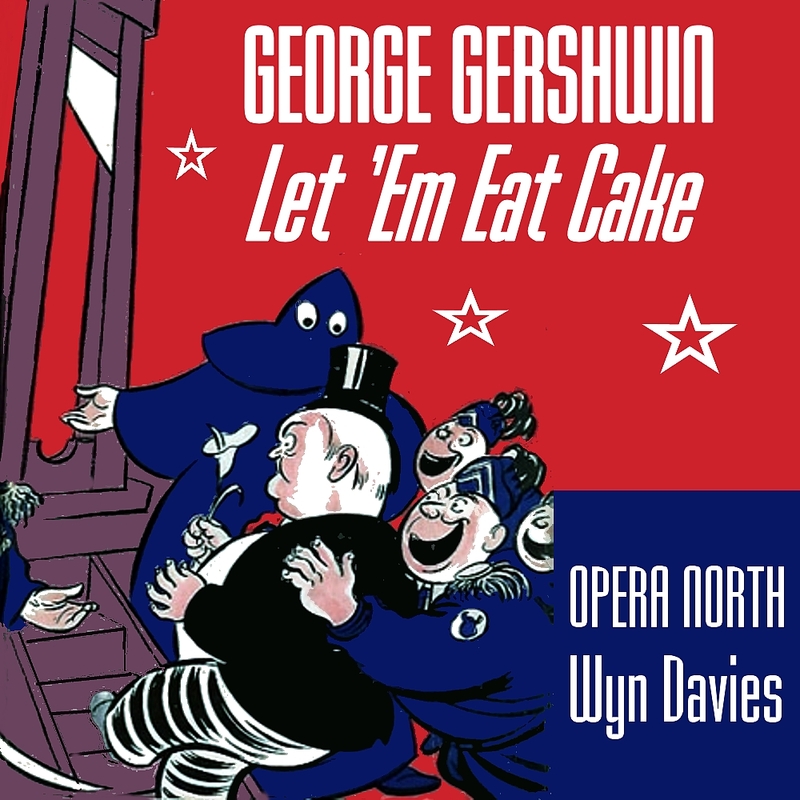 George Gershwin: "Let 'em Eat Cake"
BBC Radio 3 DAB. 26 September 2009. Last edited by jserraglio on Sat Apr 06, 2019 4:24 am, edited 1 time in total. 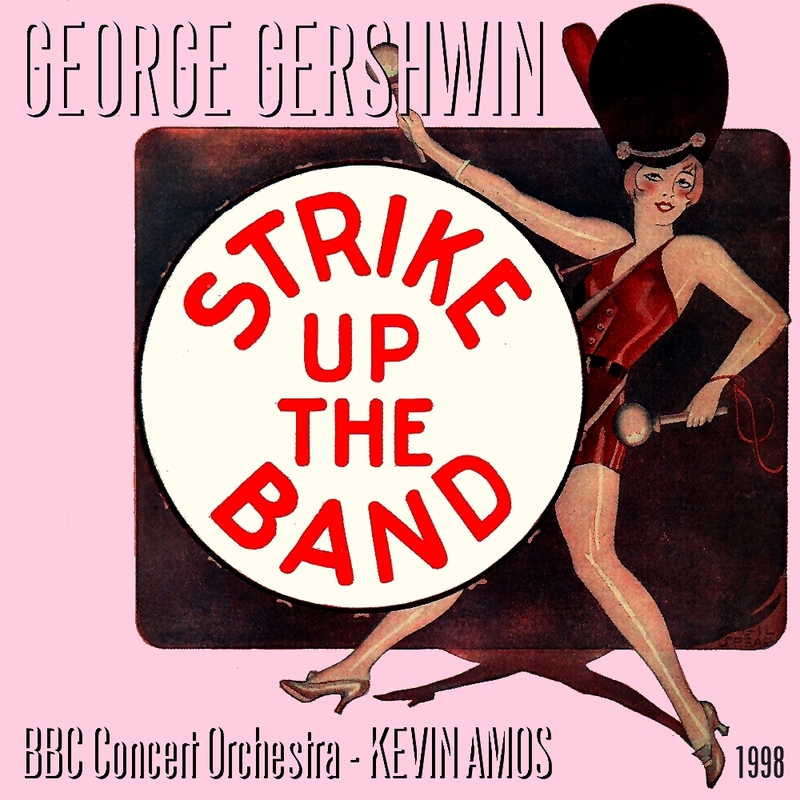 George Gershwin: "Strike Up The Band"
BBC Radio 3 FM. 26 September 1998. Barbican Hall, London. Last edited by jserraglio on Sat Apr 06, 2019 4:26 am, edited 1 time in total.